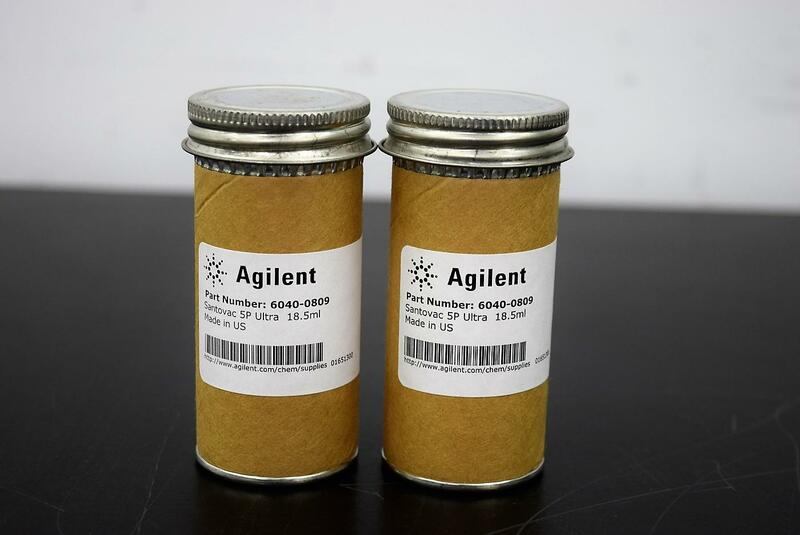 New Agilent P/N 6040-0809 Diffusion Pump Oil 18.5mL for Series GC/MS Lot of 2 . New Life Scientific, Inc.
5975 and 5973 series requires 2 bottles. Retail new on these is $147.00 per bottle from Agilent. Save over 50% off now!! !